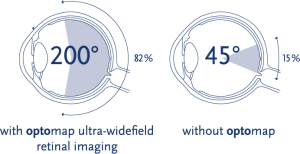 Our latest digital retinal imaging equipment enables us to capture a panoramic image of the retina (back of the eye). It takes only seconds to perform and is not painful. 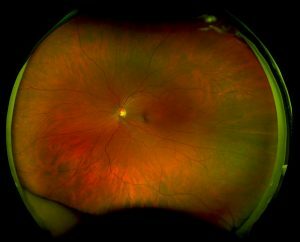 The result is an image which shows more than 80% of the retina compared to the standard 15% typically revealed by traditional methods. 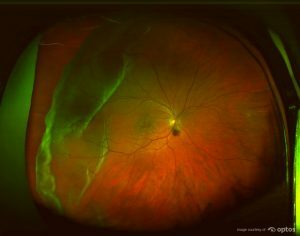 The retina is the only place in the body where blood vessels can be seen directly. This means, in addition to eye conditions, signs of some systemic diseases can be seen in the retina. Early detection is important so treatments can be administered. 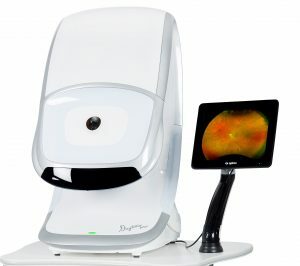 With the Optomap detection is faster and easier than ever before. This scan is now included in all routine eye exams.